Tigh Ban Lek is a traditionally built stone and wood cottage in an area of dramatic natural beauty. Built with full length windows and incorporated into the hillside in a prominent location, the house is oriented to maximise the spectacular sea and island views which extend for over 30 miles around. 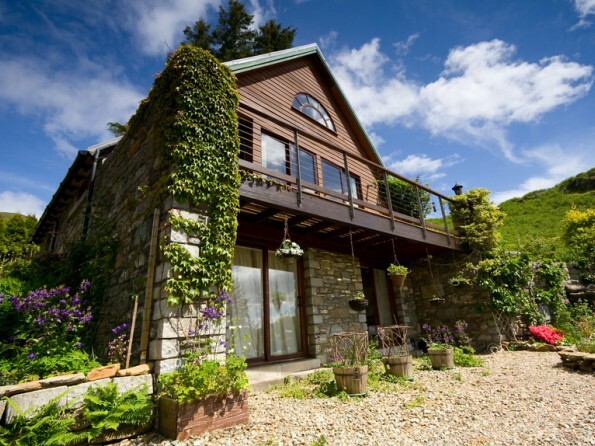 This stunning cottage, which once won the Mid Argyll, Kintyre and Islay Planning Design Award, combines comfort and luxury with sensational views and as such it provides the ideal base from which to explore the beautiful beaches and lochs of Argyll. The large garden gently slopes to take in the scenery and the setting is peaceful yet within easy reach of shops, restaurants, historical sites and a wealth of outdoor activities. 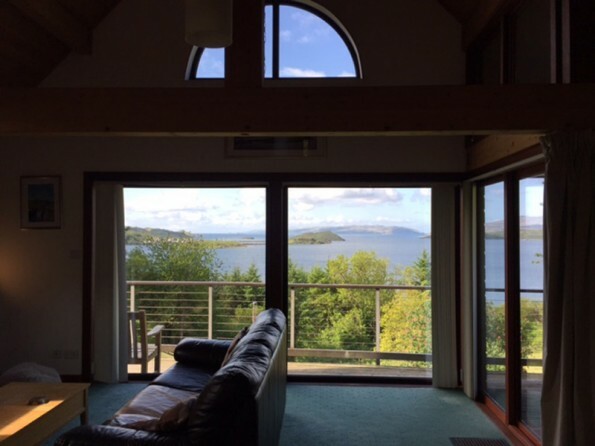 So whether you want to sit on the terrace and enjoy the outlook towards Craobh Haven, Shuna, Luing, Scarba and Jura, or you`d rather get out and about and have an action-packed holiday, this is the perfect spot. 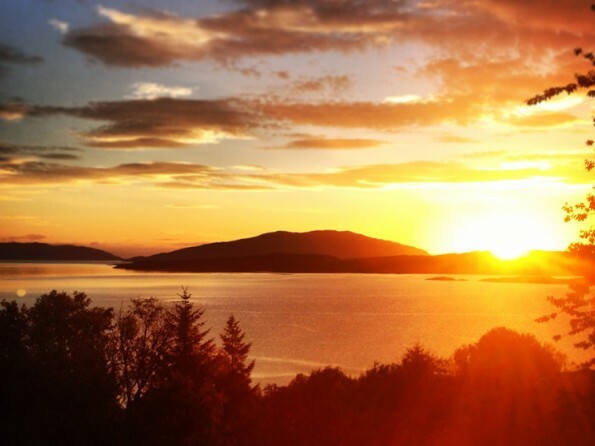 Argyll is heaven for lovers of the great outdoors and there are abundant opportunities for walking, cycling, horse riding, swimming, clay pigeon shooting and playing golf. You can even go skiing during the winter months. 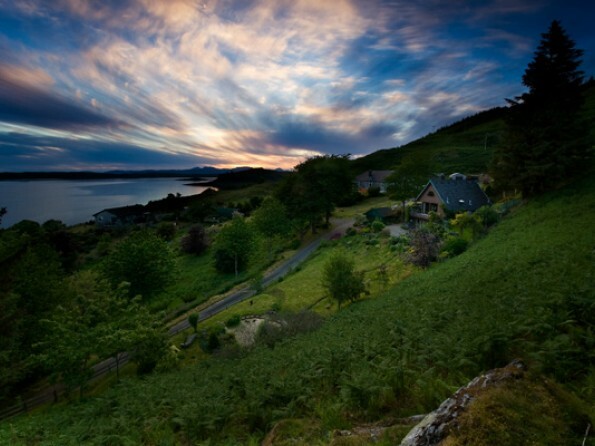 The numerous lochs and rivers make salmon and trout fishing a very popular pastime here, and likewise the proximity to the coast means that boat trips are a must, whether you want to visit the islands or go whale spotting. History buffs are in luck, with dozens of castles, gardens, houses and museums on the doorstep. 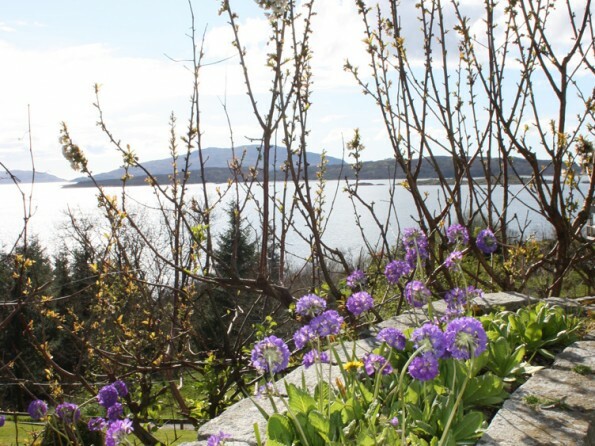 Visit Carnasserie, Dunollie and Inveraray Castles, wander round Arduaine Gardens, visit the standing stones near Kilmartin and explore the Oban Distillery and Cruachan Power Station. 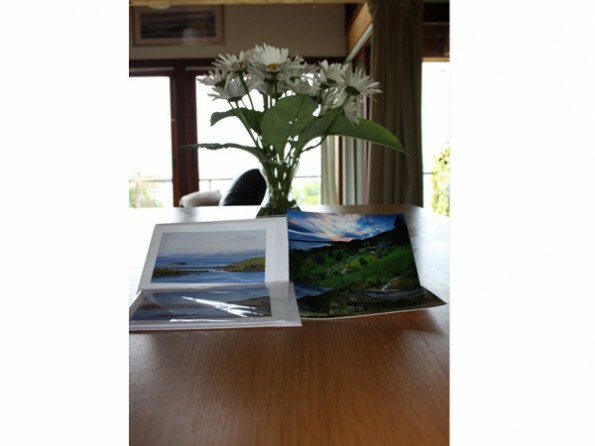 And if you want to discover the local towns, visit Ardfern, Lochgilphead, and Craobh Haven, eat in the popular pubs and restaurants, visit galleries and craft shops and savour local produce. 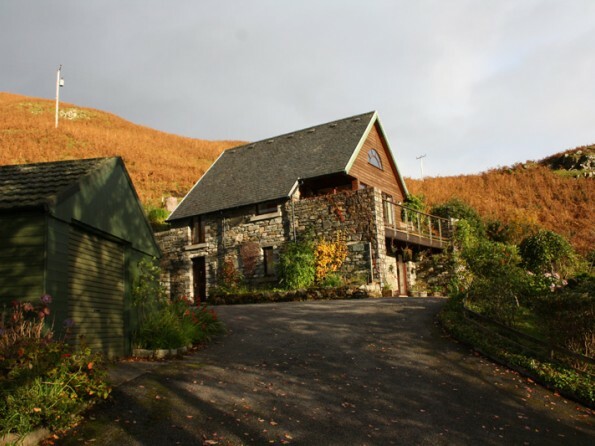 Tigh Ban Lek is located just off the A816 road halfway between Oban and Lochgilphead on the west coast of Scotland. Tigh Ban Lek is approximately 200m up a private road and is signposted on the fence at the road end. It is the first house you come to up the private road. The sign of 'Traighuaine' for the area is the most visible from the road. For full driving directions from either the South or the North please see the website. On the ground floor there is an entrance porch leading to two bedrooms - a master with an en-suite double shower over bath and beautiful views, and a twin/king with en-suite shower room. 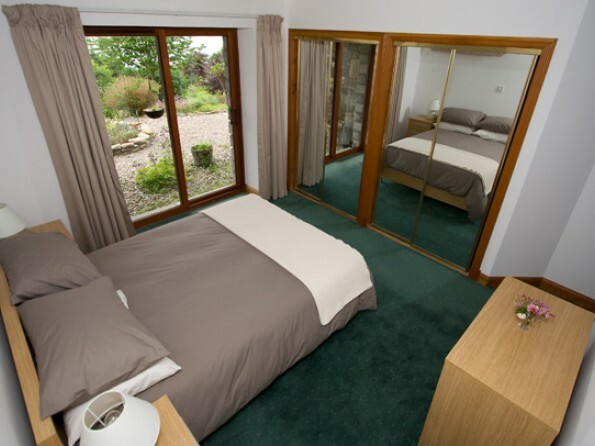 Both of these rooms have patio doors with direct access to the gardens. The first floor is a bright, open space with patio doors to the back garden and onto the balcony from where steps lead to the upper terrace. 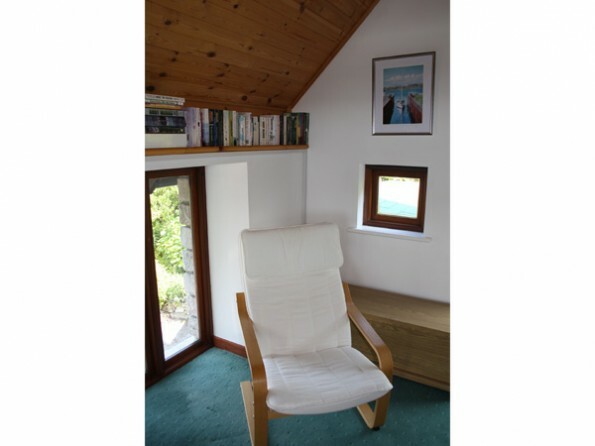 The living area is furnished in a contemporary style and with its gas stove and comfy leather sofas (one of which is a sofa bed comfortably sleeping two adults) it is the perfect place to sit and enjoy the views whatever the weather. 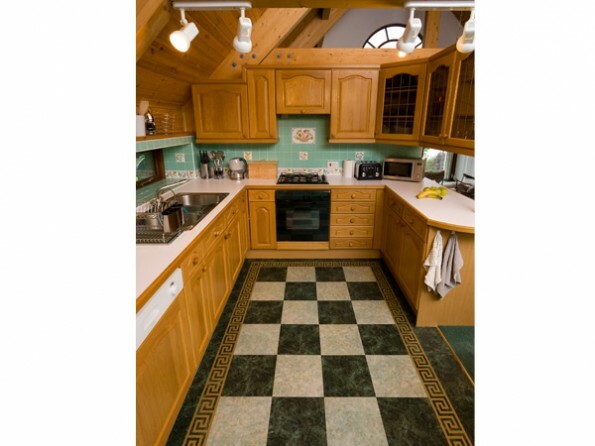 The kitchen is supplied with quality cookware and all the mod cons and the dining area contains a large oak dining table and six chairs. 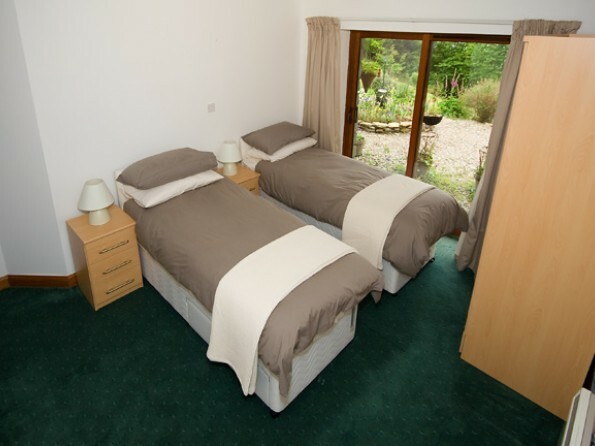 The house is well-equipped with everything you might need for wet weather days, from a flat screen TV/DVD player to WiFi and a selection of books, DVDs and board games. The large gardens are laid out over a number of levels and they are full of fruit trees and herbs which guests are welcome to help themselves to when they are in season. A variety of trees, shrubs and border plants bring colour to the garden throughout the year, there is plenty of garden furniture for your use, and the gentle slopes allow you to enjoy the magnificent scenery all around. A BBQ is made available April to October. The property layout works well for both families and couples. Larger groups may like to split themselves over Tigh Ban Lek and our neighbour`s property which is just a minute away. 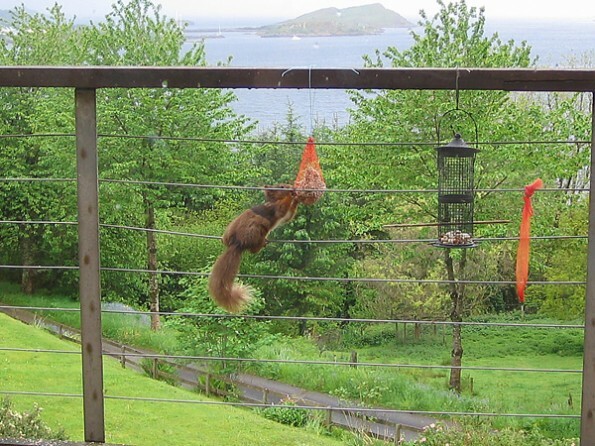 The garden is not fully enclosed so children should be supervised. We provide washing up liquid, dishwasher tablets, a dishcloth, tea towels, hand towels, bin bags, toilet roll and liquid soap.